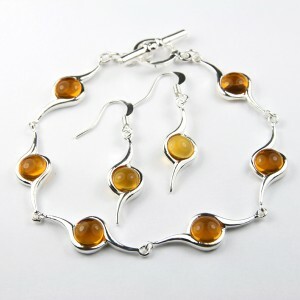 Amber silver plated bracelet and pair of earrings. You are going to love this beautiful bracelet with matching pair of earrings. The Bracelet is very elegant and lays beautifully on the wrist. The matching earrings are made in same lovely style. Fabulous combination of bracelet and earrings.